Country will spend three times more on its military than Indian, according to draft budget report. China has increased its defence budget by 7.5 per cent for this year, hiking it to USD 177.61 billion from last year's USD 175 billion. It is over three times India's defence budget. The 2019 defence budget will be 1.19 trillion yuan (about USD 177.61 billion), according to a draft budget report to be submitted at the opening of the annual session of China's parliament, the National People's Congress (NPC), on Tuesday. The increase this year is lower than that of last year's 8.1 per cent. China, which increased its defence budget in double digits till 2015, lowered it to single digit hikes since 2016. China's budgeted defence spending growth rate stood at 7.6 per cent in 2016, 7 per cent in 2017 and 8.1 per cent in 2018. With this increase, China becomes the highest defence spender on defence after the United States. India's defence budget this year was increased by 6.87 per cent to Rs 3.18 lakh crore against last year's allocation of Rs 2.98 lakh crore, notwithstanding expectations of a major hike when China and Pakistan were bolstering their military capabilities. China, in recent years, has resorted to major reforms of its military, which included giving priority to expand its navy and air force to enhance its influence abroad, while cutting down three lakh troops of the People's Liberations Army (PLA). 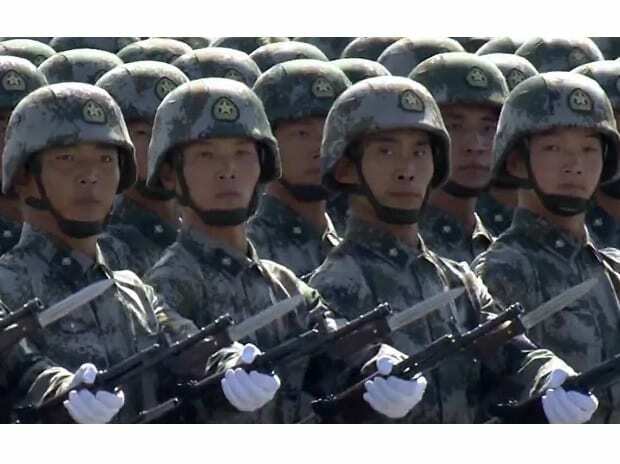 Even after the cuts, the PLA is the world's biggest military with two million personnel in its ranks. As part of the new policy, China now has one aircraft carrier, another undergoing trials and the third one under construction. State media reported that China planned to have five aircraft carriers in the near future with plans to build nuclear carriers like the US. It is also rapidly adding new naval ships and submarines. It also claimed to have developed a new range of missiles and weapons systems in recent years, including stealth aircraft. Describing China's defence budget increases in recent years as reasonable and appropriate, NPC spokesman Zhang Yesui said the raise aimed to "meet the country's demand in safeguarding national security and military reform with Chinese characteristics". In his preparatory media conference on Monday, Zhang put up a staunch defence to China's continued heavy spending on defence, saying it was still less compared to other "major developing countries'" military expenditure. "Whether a country is a military threat to others or not is not determined by its increase in defence expenditure, but by the foreign and national defence policies it adopts," he said. Compared to other countries, China's defence budget accounted for 1.3 per cent of the GDP, while major developing countries spent two per cent GDP on their defence, Zhang added. "China remains committed as always to a peaceful path of development and we pursue a defensive national defence policy. China's limited defence spending is for safeguarding the sovereignty, security and territorial integrity of the country. It is not a threat to other countries," he said.